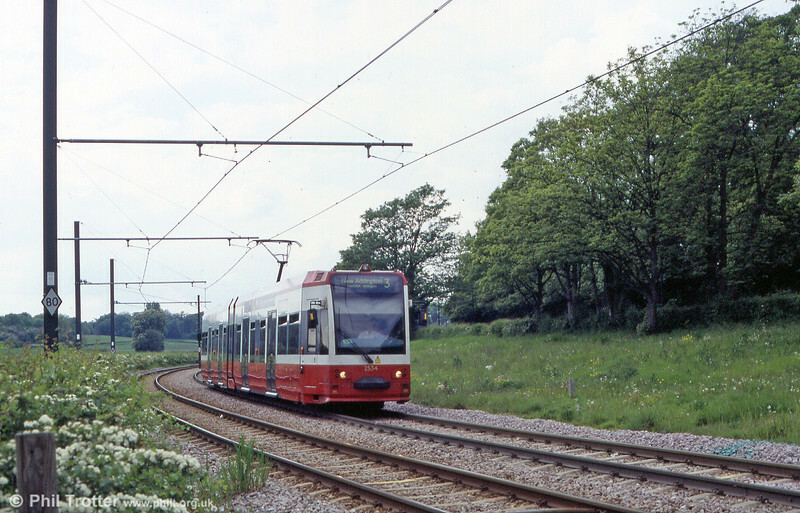 A flavour of a rural tramway - but this is London! Croydon 2534 near Gravel Hill on 15th May 2004. The cars have a top speed of 50mph.